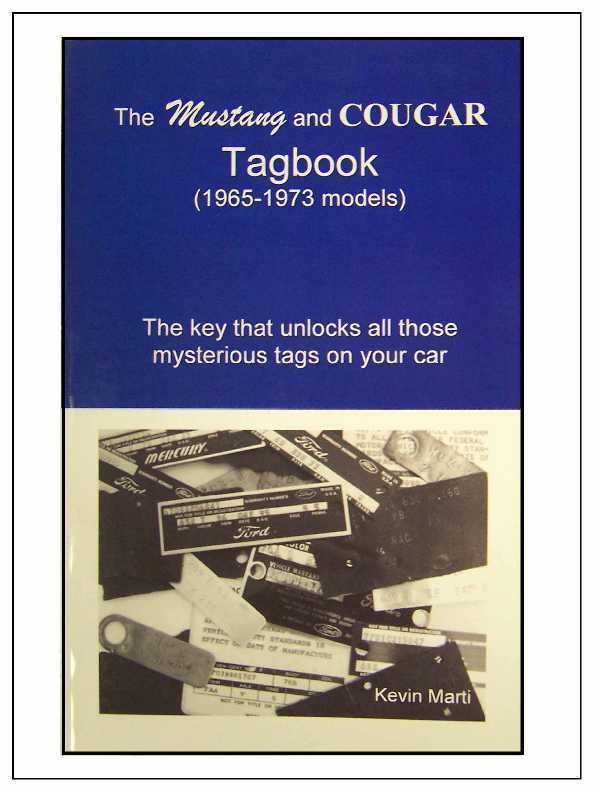 Marti Auto Works, who offers a wide and varied selection of production fact books, specifications manuals and sales literature for the Ford Mustang, has announced that they will be offering a new tag book for the 1965-1973 Mustang and Cougar. 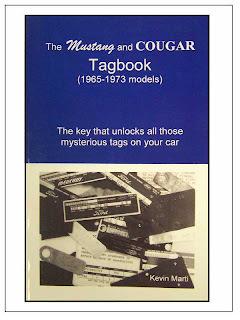 “Our new book features details never before published about various tags used on the 1965-1973 Mustangs and Cougars,” stated Kevin Marti, Marti Auto Works President. Kevin and his team have spent over 20 years researching this subject, unlocking the keys to all the mysterious tags on these cars. The book is a complete guide to decoding the engine, transmission, carburetor, steering box, VIN owner card, radiator and more. The Mustang and Cougar Tagbook is a valuable source for authentication or restoration. 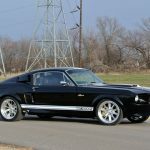 As a Ford licensee to the Ford Motor Company’s entire database, Marti Auto Works is able to offer exclusive books like Mustang by the Numbers 1967-1973. 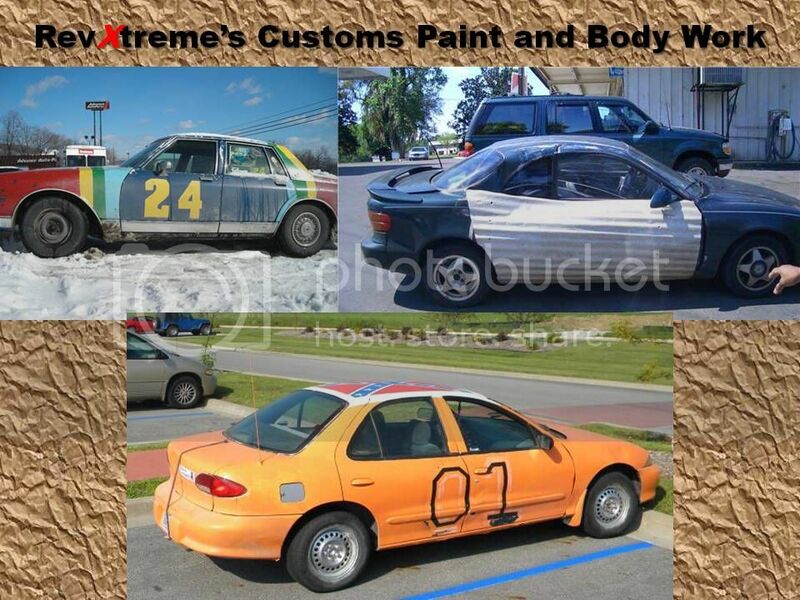 This publication is packed with over 12,000 statistics about how many Mustangs were built each year with various paint/trim, engine/transmission and option schemes with user friendly charts that offer the answers to a host of questions. Very high quality, color 1965-1970 Mustang sales brochures are also available. In addition to the Marti Reports, Marti Auto Works has provided the finest quality restoration products that meet or exceed original design specifications at auto supply store prices including belts and hoses, spark plug wires and battery cables for over 29 years. This entry was written by by Novocaine (Ford Mustang) and posted here on Monday, April 30th, 2012 at 5:32 am and is filed under Reviews. This article was not written by us, rather gathered using RSS feeds listed here. We take no credit for this article. You can leave a response, or trackback from your own site.